Query is a tool that allows users to interact and customize their search for data within a dataset portal. 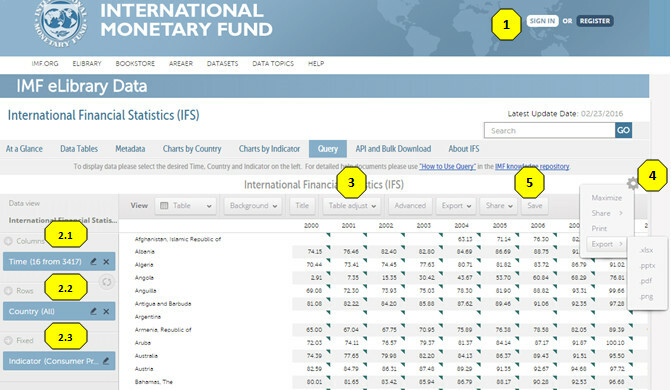 Users may create their own queries by selecting Country, Indicator, and Time to get the data they want and view the data before exporting it. 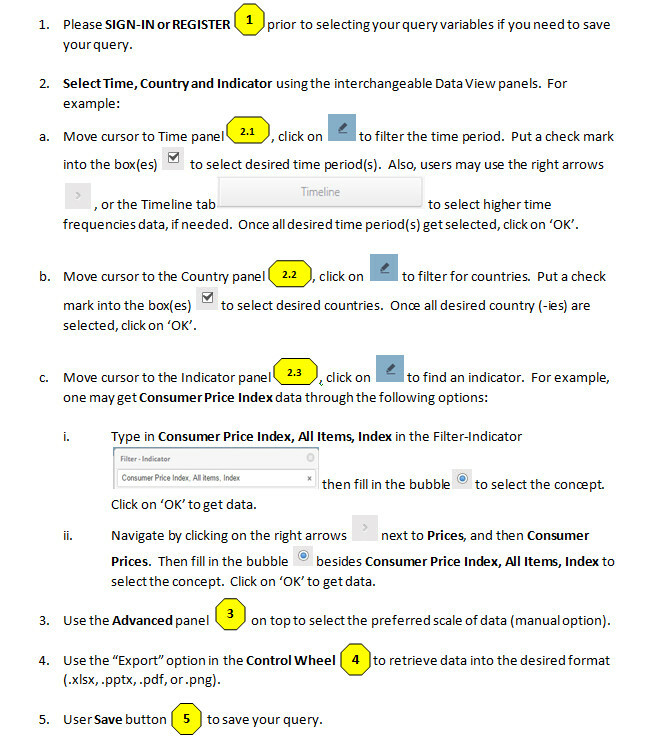 Users may follow the steps below to replicate the example query on 'Consumer Price Index' indicator with time in columns and countries in rows.